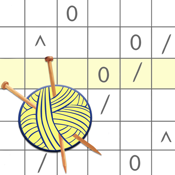 knitCompanion helps you knit faster, make fewer mistakes, and tackle more techniques. With knitCompanion you focus on your knitting instead of spending time tracking rows, stitches, counters, and “at the same time" instructions. * LINK CHARTS so you have one row marker for the whole row. Plus lots of tools to manage wide charts and keep your place. * MAGIC MARKERS to find like stitches and then color, highlight, and count them. * REMINDERS for "at the same time" instructions so you never miss a step. * INVERTED MARKERS are easy on the eye and make color-coded/colorwork charts a breeze. * APPEND clues for Mystery KALs. * NOTES, HIGHLIGHTS, COUNTERS, KNIT TIMER, and much more. * Also helps cross stitch, beading, weaving, crochet and more. With free knitCompanion you can QuickStart as many patterns from your library as you'd like and use hundreds of kCDesigns. 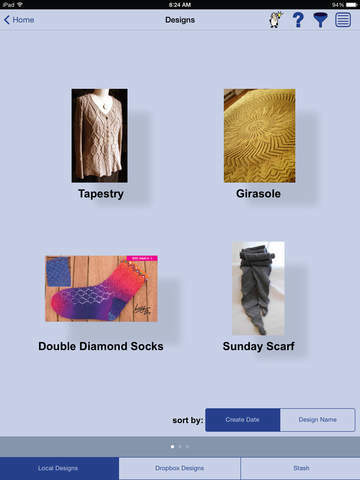 In-app purchase options provide access to knitCompanion's patented* tools for keeping track. Visit us at knitCompanion.com to learn more about knitCompanion. We also have a very active Ravelry group (knitCompanion).